How important is a good hotel room for you? For some, accommodation can make or break a vacation. Hotel rooms with more space, a jacuzzi or even just a free mini-bar are small perks that make your hotel stay memorable. Are you looking for the secret recipe and the magic words that will get you a coveted hotel room upgrade for free? As with anything in life, the best approach to get a free upgrade is “ask, and you shall receive”. So let’s dive deeper and figure out what tips and strategies have worked before for other travellers. 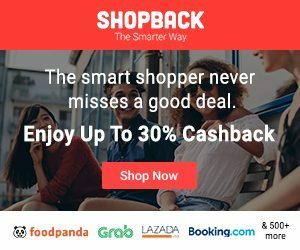 Get that flight out with ShopBack and get up to 25% cashback on your flight, hotels, activities, insurance and much more. Check all the travel deals here. 5. Don’t book the cheapest room, to begin with. 6. Check-in later in the day. If the asking doesn’t work, are there any other options? What other hotel perks can you get? A social event – like attending a wedding, for example. A special circumstance – if you are celebrating an anniversary or birthday. A special need – staying with small kids or needing a more disability-friendly room to accommodate a wheelchair, for example. Contact the hotel and ask for the reservation manager for an upgrade. Be a repeat guest or join a hotel rewards program. Travel during the ‘shoulder’ or off-season. Request upgrades during shorter stays. Don’t book the cheapest room, to begin with. Check-in later in the day. The simplest way is to ask at check-in if they can give you a room upgrade and give the staff a context or a reason for your request. 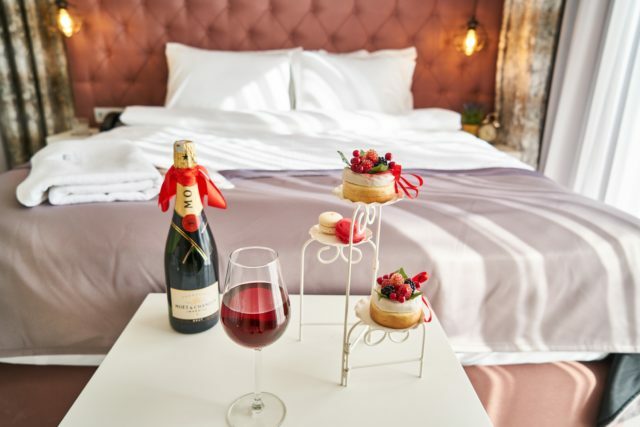 It helps to be specific: let the front desk know if you are celebrating a special occasion, and inquire about particular things: maybe you want a room upgrade, perhaps you want their help with some room decor or perks like rose petals and a bottle of champagne. Try to establish a relationship with the front desk or concierge. Introduce yourself, be courteous. This can profoundly impact your access to an upgrade. People are more inclined to do favours for the people they connect with. If the staff knows that certain rooms are going to be empty, they might have the power to put you in it. It is as simple as it sounds: ask for what you wish, communicate clearly, be nice. You can do this when you make your booking and when you check-in. How much can an upgrade cost you? How much can an upgrade cost you? There are no exact prices for each type of room, prices differences between each room category vary immensely, but sometimes you can spot a pattern on the prices. On average, hotels charge around $50 to $75 more for a premium room and $100 to $150 more for a suite across all search dates. The front desk staff are the key holders to the vital information such as what are the more spacious rooms, the ones with a view, the farther from the elevators, and they are used to this type of requests. More often than not, they can also decide who gets access to all these. So, ask but ask politely. Because, at the end of the day, you’re not entitled to all of this unless you paid for it. Be grateful if you get anything extra. Don’t ask for an upgrade within ears from other guests. The front desk won’t be able to give you a positive answer if all the guests decide to ask for a free upgrade. Be discreet. If you plan to use additional services or make reservations for the hotel’s restaurants or spa, ask the hotel if they can upgrade you if you use these services. The idea is that if you are spending extra on other amenities, the hotel might have a bigger or a better-located room to give you. Be reasonable though: a restaurant reservation won’t get you the Presidential suite. One of the main tips mentioned by one seasoned traveller is to ask the concierge about the loyalty programs they have (and be enthusiastic about it). Hotels want to encourage visitors to become loyal members and might have special promotions or perks for new cardholders. They will give you that info and might be more inclined to give some extra stuff. It’s in a hotel chain’s best interest to keep their most loyal guests happy. If you have a brand’s credit card, be sure to use it if you can at check-in. When booking a room during the off-season, ask the hotel about their upgrade and rates policies. More often than not, hotels make their upgrade decisions based on occupancy. Calmer seasons means that the hotel will have more rooms available. Low occupancy = better chance of being upgraded. If higher category rooms are not reserved, and you are requesting an upgrade for a stay of 2 to 3 nights, you will have better chances of getting it. There’s no advantage for hotels to have their best rooms empty. In case there are no reservations for a short period, the hotel staff can use those rooms to reward existing customers. To note: not all front desk staff will be empowered to give out freebies like upgrades. This might vary from hotel to hotel. If you feel like the staff who is attending to you is limited in what they can offer, you can politely ask for a reservations manager or the manager in charge at the time. Get out of ‘kiasu’ mindset, and be mindful that you just might get what you pay for. If your goal is to book the cheapest room possible, don’t expect to be upgraded to a much better room. Meaning, if you book a basic double room, you can’t expect to be upgraded to a VIP suite. You’ll have better chances of getting a Junior suite or a King room, for example. Remember, the logic hotels use to give out upgrades is to reward high value and loyal customers. Also, when you book the cheapest rate, you get the cheapest room. The cheapest room is usually the lesser room. So if you see a double room in two different platforms being offered for different prices, it just might happen that the more expensive is likely a better room. Get familiar with the types of rooms that are slightly fancier than the one you booked. Going from a basic superior room to the superior room with a corner view would be a fair request. A room assigned to one person. With one or two beds. A room assigned to two people. With one or two beds. A room assigned to three people. With one or two beds. A room assigned to four people. With one or two beds. A room with a queen-sized bed. May be occupied by one or more people. A room with a king-sized bed. May be occupied by one or more people. A room with two beds. May be occupied by one or more people. A room with two double (or perhaps queen) beds. May be occupied by one or more people. A room with a studio bed – a couch that can be converted into a bed. May also have an additional bed. A parlour or living room connected to one or more bedrooms. Rooms with individual entrance doors from the outside and a connecting door between. You can move between rooms without going through the hallway. Rooms with a common wall, but no connecting door. Rooms close to each other, perhaps across the hall. Your check-in time is also important if you intend to make an upgrade request to the hotel. Avoid the rush hours and try to arrive between 4h30 to 6 pm, when the front desk might be quieter, and the staff will have time to consider your requests. Front desks are usually busier in the morning between 8 to 9h30 am and evenings from 6 to 8 pm. Check-out times for existent guests happens usually from 11 am to 12 pm. If you arrive too early or during rushed hours, the hotel staff will give you the first room to be available and probably will be too busy to accommodate special requests or free upgrades. You might be missing out on better rooms that aren’t vacant or cleaned yet. If you arrive too late, and you’ll get the lasts rooms available. Reaching out to the Revenue or General Managers of a hotel property – A fellow traveller once wrote directly to a General Manager to the hotel informing that she will be visiting the property to celebrate a special occasion and ask if there was something the hotel could do to make the stay even more special. She was successful in getting special treatment: a bigger room and complementary flowers and champagne waiting for her at arrival. Ask to see other rooms – When you feel like your room didn’t meet the expectations, reach out to the front desk immediately and politely request to see other rooms. Hotel staff might be accommodative and give you a higher floor room or a room with better amenities. The old “tipping’ technique – One of the boldest moves is to tip the staff at check-in and ask if there are any complimentary upgrades available. This is a risky move as it can be interpreted as bribing. Despite getting a free upgrade or not, remember the hotel employees are only doing their jobs. Be kind and don’t take a negative reply personally. Yes, there are other scenarios you can consider when you are trying to get a better hotel room for cheaper. If your goal is to save some bucks while staying in a better category room, there are ways to make sure you get the best price by using a rebooking site such as Tingo, DreamCheaper or TripRebel. These type of online services monitor your hotel booking. If a better room becomes available at the price you paid, they will automatically upgrade you. The service cancels your previous reservation and rebooks you at the same rate into the upgraded room. These services sound like a great solution but we haven’t tried them ourselves yet so we can’t vouch for its accuracy. 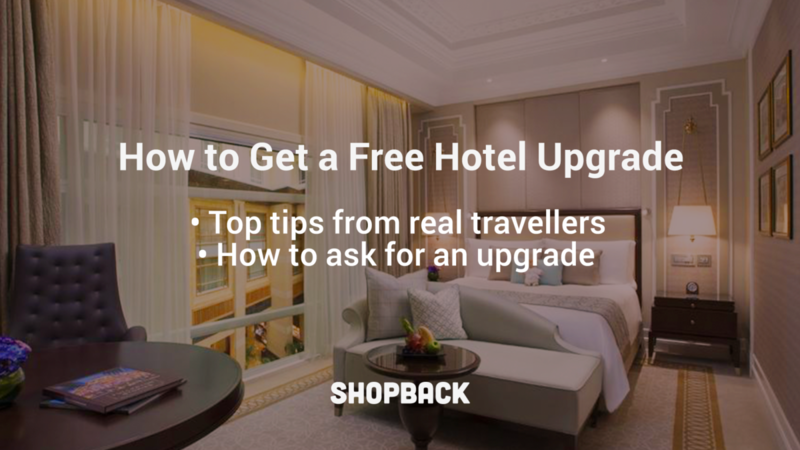 You have a better chance of getting a free upgrade at newer hotels. Newly open hotels usually have a low occupancy rate so they will have better rooms available. Instead of having the better rooms empty, it is in the hotel’s interest to use them as a free upgrade to keep the guests satisfied. So request it when the opportunity arises. This also applies to independent hotels: you will get more personalised service, and the hotel staff will be more interested in turning you into a loyal repeated visitor. Some claim that social media exposure and guest reviews matter to hotels and, to get in your good graces, hotels can go out of their way to make your stay memorable. Reality check: if you are expecting to get perks in exchange for a couple of Instagram photos or Facebook mentions, don’t. In the last couple of years, influencers are a dime a dozen, so don’t expect to be taken seriously unless you have a really big and established following online. Don’t request a free upgrade in exchange for a great review. Ask about breakfast and dining deals – if your room doesn’t include breakfast, ask at check in if there are special deals for the on-site restaurant. You could land yourself substantial discounts on food, complimentary happy hour drinks, or special 1-for-1 deals. Hotel freebies – It is not unusual to find designer toiletries, exotic teas, slippers or even umbrellas or bikes made available to hotel guests. If you need anything out of the ordinary, don’t hesitate to ask the front desk. 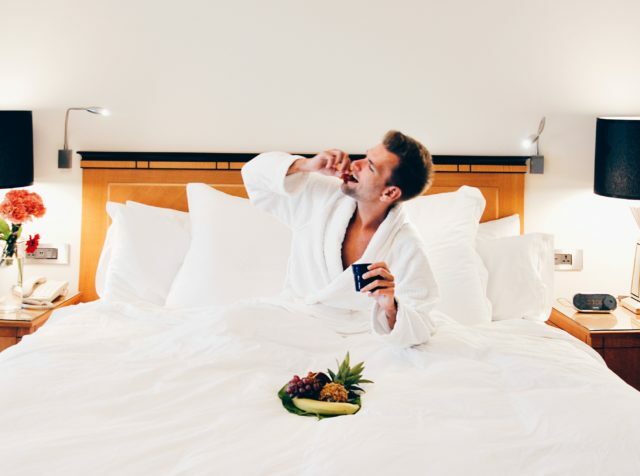 Secret pillow menu – One of the newer perks hotel offer, and most guests aren’t aware of, are a pillow and/or bath menus. Yes, you read it right. In some hotels, you can choose your preferred type of pillow and, in more upscale properties, get someone to prepare a spa-like bath for you. 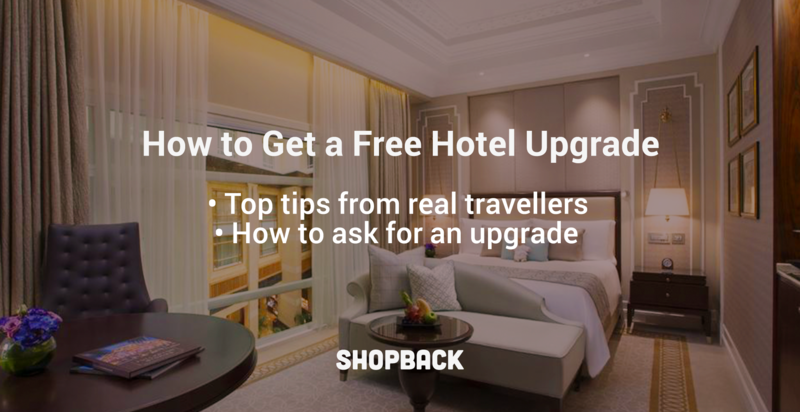 Make the most of this info and get yourself a free hotel upgrade on your next trip. Do you have any hotel tips or good upgrade stories? Share it with us on our Facebook community. What Hotel Can You Get For $99 Around The World?